Borsti wrote: This problem comes from translation without UTF 8 codet files. Thanks, Borsti, NOW at least Achievements actually shows something. But the SQL tabels stay empty, like my server can't access the Armory. 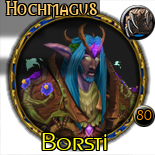 tuigii wrote: Thanks, Borsti, NOW at least Achievements actually shows something. The fr/FR translation file isn´t complete. Add the missing translations and it should work. installed the achiements plugin for wow roster i have uploaded my character profile and put the armory_class.php in the lib folder but this is all i get when i click on the achivements icon. Last edited by driller on Wed Mar 04, 2009 3:36 pm, edited 2 times in total. I'm on it for about 4 weeks now, but never managed to take anything out of EU.wowarmory.com. What I have is what Driller showed just above. So, I figured: my web server us hitting the Armory (the general wow site in Europe) to often for server status updates etc, so I had it refreshing ones an hours at most. I even firewalled all outgoing connections from my server to EU.wowarmory.com (and related IP's) so Blizzard would finally, really forget about me. That worked: putting some debug statements in the lib/armory.class.php that dumps the XML file the has been "urlgrabbed" and that it WORKS now ! It takes down the correct XML info from the Armory. is getting set on line 60, there is some error about invalid character input in the XML file. Conclusion: the XML bails out, nothing has been parsed, and Achievements stays empty (as seeing in the post above). What I'm gona do is setting up a Guild in my Roster for a US Guild. I'll try to join a US WoW server (I think this is possible to do so from European WoW client) and have a look for a 'host' Guild (can't really export my Golds from here to there - so ... please, anyone accepts a lvl 1 worrier ??) so I can set up a 'original' US Guild Roster. Then I can use Achievements to see how it work - or should work. hmmm for some reason it has worked now. I am hoping that someone has nailed this and we can get a fix published. The picture listed above by driller is an exact image representing what is displayed on my roster. Last edited by DoubleTap on Sun Mar 15, 2009 10:12 pm, edited 1 time in total. Hey, guys, please indicate you are on US or EU Armory ? So we can know we are looking after different sources, or other troubles. yea knowing the local for your guild and ither us or eu armroy are nice to know because i am us and a us server i have built the addon using it but all the xml is the same in us and eu..
Or at least post the URL of La Cosa Nostra's roster. The screenshot is too blurry to make out the URL. then updated my character via the armory sync and it worked fine. Last edited by driller on Thu Mar 05, 2009 6:40 am, edited 1 time in total. the character profiler dont seem to upload your achivements for some reason the the only way to get them is by syncng it with the armory sycn addon that Ulminia has so kindly updated for us all. Last edited by driller on Thu Mar 05, 2009 6:43 am, edited 1 time in total. I get the same result as the photo above. I updated the armoryclass etc. 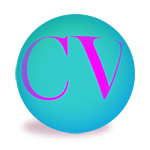 but continue to get a non-populated template...I don't mind tinkering, but was curious if this got sussed yet and I am just missing something obvious. I´m working on deDE localisation but the Menu seems to be hardcoded. The localisation in deDE wouldn`t work too .